Top 5 Bestselling Foundations at Sephora | Top Beauty Blog in the Philippines covering Makeup Reviews, Swatches, Skincare and More! Hello, friends! Are you looking for some good foundations to try? Here are five of the many best-selling foundations at Sephora. Have you tried any of these foundations? Which one is your favorite? Let me know your thoughts in the comments section below. Not thick or greasy, this foundation's innovative formula gives all skin tones flawless, complexion-perfecting coverage, while the broad spectrum SPF 15 sunscreen protects. Redness, pores, and imperfections visibly disappear, evening the skin tone and leaving a mattified-yet-natural result. Formulated with color-true NAI pigments, it maintains your skin’s pH level so that color stays put all day long—meaning your makeup doesn’t need to be re-touched and provides transfer-resistant coverage. Developed specifically for the film and TV industry's most advanced technology, Ultra HD Liquid Foundation creates a naturally flawless complexion — on and off camera. Completely invisible under the latest, super-focused 4K lens, this innovative foundation is infused with uniquely-coated pigments that provide medium-to-buildable coverage with an even lighter weight, second-skin texture that looks just like skin. Featuring 30 full-coverage, matte shades — renamed to include undertones for easier shade selection — Kat Von D's bestselling foundation collection has a shade to cover virtually all skin tones. Formulated with 21 percent pigment, this powerful foundation is loaded with proprietary pigments, and an exclusive high-tech blend of silicone elastomers and silicone esters to bind the formula so you get total matte coverage that stays waterproof, fade-proof, and transfer-resistant all day long. 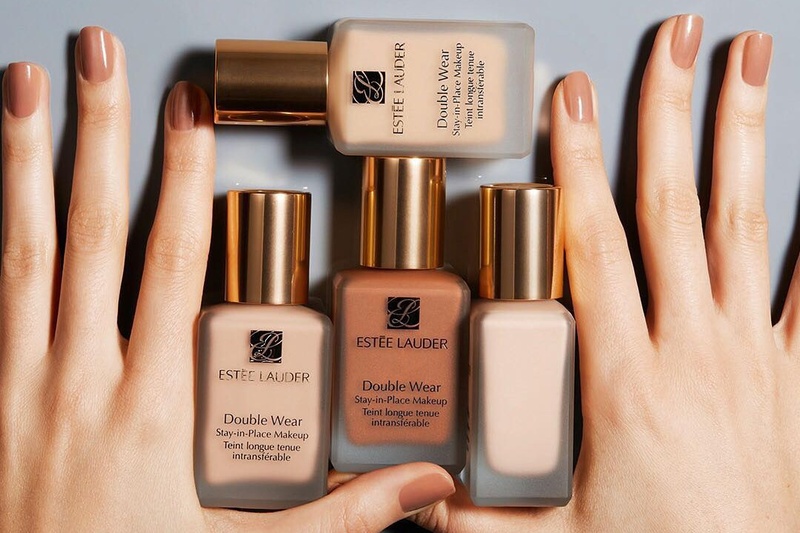 Estēe Lauder’s Double Wear Makeup delivers flawless, 24-hour staying power, and it is natural-looking for carefree coverage. A lightweight, oil-free, and buildable formula, it doesn’t change color, leaving your makeup looking as fresh as when you first applied it. Cool products. I must try them. These are a bit pricey, but having a great foundation is key. The rest of the make-up looks more flawless and is easy to apply. Great selection, I want to try Estee Lauder. The colors are so outstanding! Amazing! Gosto da marca Estée Lauder! Love these! Great foundation products. I would like to try all of them. The Giorgio Armani foundation is one I have wanted to try for a long time, its great to see that its ranked so well.